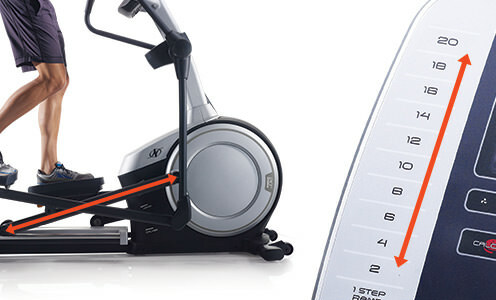 NordicTrack C12.9 Elliptical Cross Trainer - Home Gym Singapore in your cart. On the C 12.9, you can customize your settings for specific results. 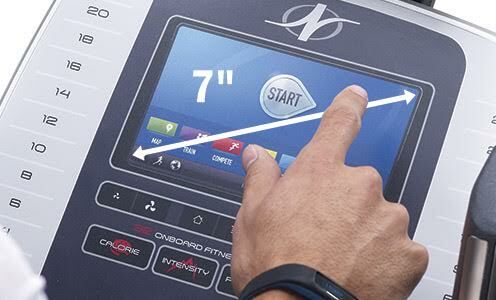 At the touch of a button you can adjust your stride length, incline, and resistance. 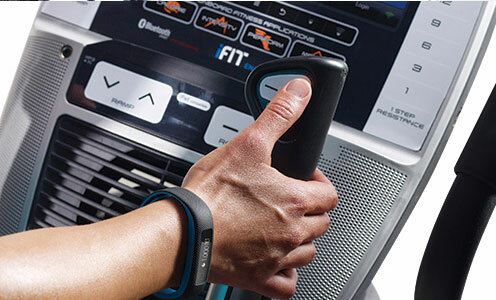 The AutoBreeze™ fan adapts its speed to match your workout intensity. 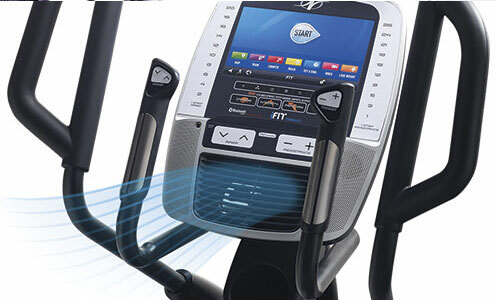 Enjoy your favorite media while you work out with an adjustable tablet holder and integrated sound system. Keep track of your heart rate with dual CardioGrip™ sensors and an included wireless chest strap. Change your incline from 0 to 20 degrees with the touch of a button. Adjusting your incline allows you to burn more calories and target specific muscle groups. 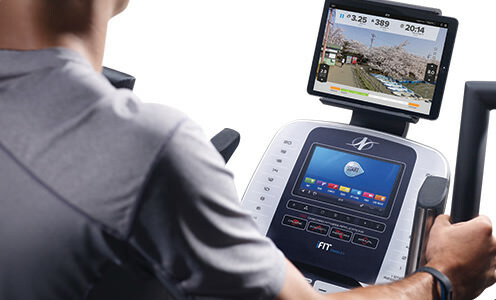 An integrated tablet holder allows you to enjoy all your favorite media during your exercise. You can also connect your device to the machine's sound system for high-quality audio. Motivation is built into your machine with a 7-inch, Web-enabled touchscreen. Integrated technology from the iFit brand allows you to track your stats, create custom training programs, and create Google Maps training routes anywhere in the world. 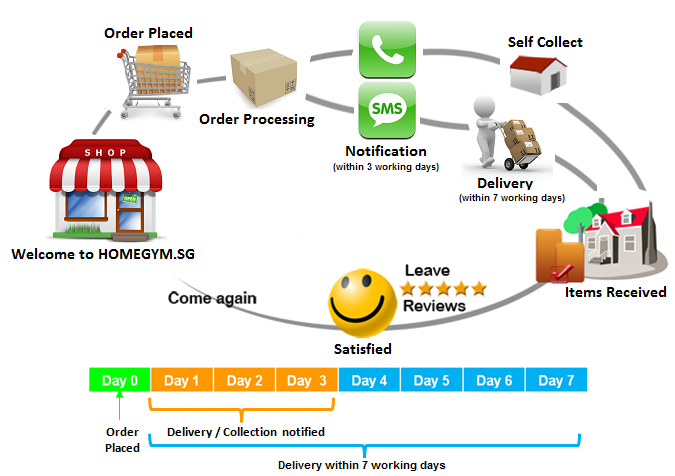 You can also compete with your friends and communicate with other iFit users all over the world. 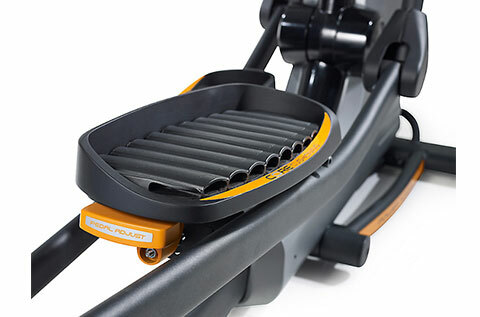 Easily adjust your incline ramp and resistance settings without interrupting your workout. Convenient controls are built right into the C 12.9 handgrips. Stay cool and comfortable with the oversized fan that automatically adjusts its speed to match your workout intensity. Or, personalize your comfort with on-console fan controls. Get the training you want with built-in workouts designed by a Certified Personal Trainer to help you reach your fitness goals. Change your results by changing the incline of the elliptical from 0 to 20 degrees. It will modify the shape of your stride, which alters the muscle groups you focus on during your workout. Target your glutes, quads and calves. Achieve muscle definition by changing your workout stride. As you change the incline from 0 to 20 degrees, the stride length automatically adjusts to maintain comfort and control. Engineered for incredibly smooth performance, this heavy 15 kg effective inertia-enhanced flywheel is precision weighted and balanced to deliver a smoother, more natural ride. You'll feel the difference in your first workout. NordicTrack is the most popular brand of fitness equipment in the world. It is sold in more than 70 countries in the world. Several reputable outlets have many good things to say about NordicTrack fitness equipment. Foremost among them is Runner’s World, one of the largest communities of runners online. NordicTrack is owned by Icon Health & Fitness, a company located in Logan, Utah. Icon Fitness is the largest manufacturer of fitness equipment in the world and owns other popular brands such as Proform, FreeMotion and Gold’s Gym. Why is there a big price gap between equipment sold in USA and Singapore? Being their Singapore distributor, we are subjected to a higher price when we bring in the products. This is the reason why our prices are closer compared to other countries like Canada, UK, Australia. However, we offer Free Assembly which is a value added service which no other NordicTrack agents provide.